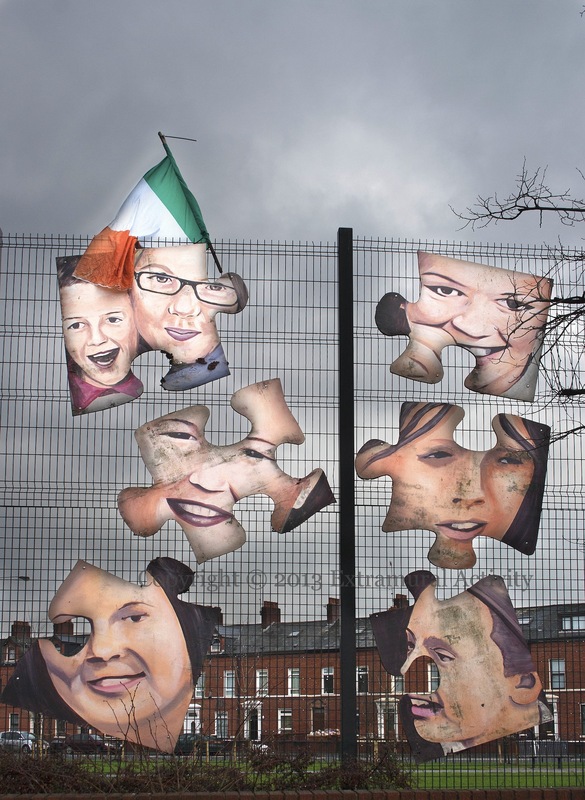 Walk over the Albert Bridge onto the Short Strand and just before you turn into Mountpottinger Road on your left there is a little park known as ‘An Glas – The Green’; these jigsaw pieces can be seen there, hanging on the wire fencing facing out onto the main road. See the wide shot and text below for more about the project. Launched 2008-11 (BBC-NI). 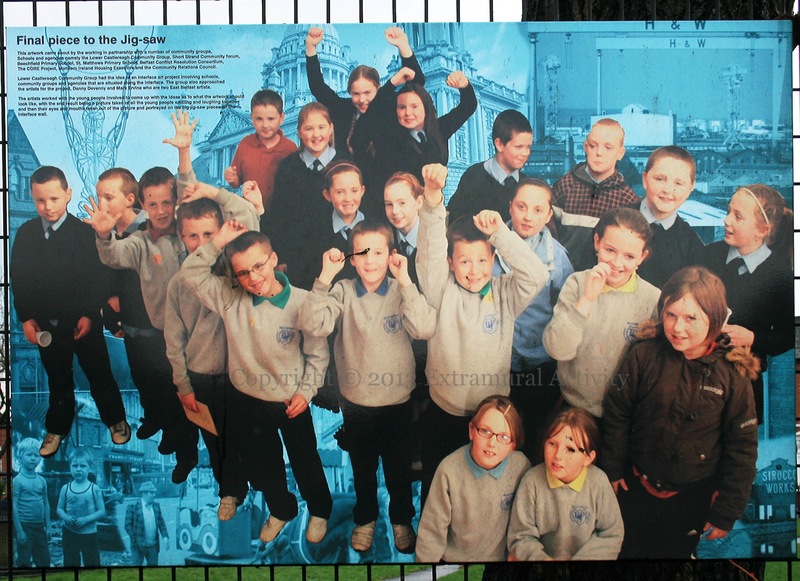 Frankie Quinn of the Red Barn Gallery has a a photograph of the two little boys in the bottom left of the board as adults. Also in the background (proceeding anti-clockwise) one can see Mickey Marley’s Roundabout and the old Scirocco Works factory, as well as the Harland & Wolff cranes Samson and Goliath, Belfast City Hall, and the wire sculpture next to the Waterfront.